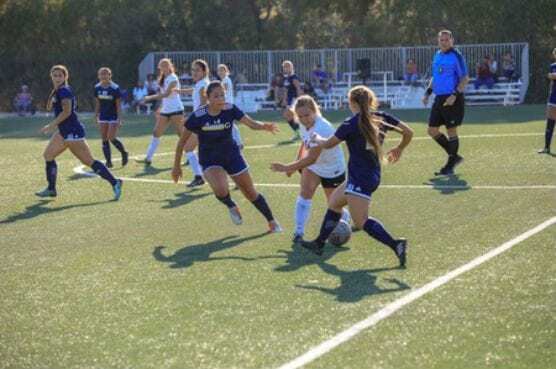 College of the Canyons’ women’s soccer team faced off against Chaffey College on Friday, falling short by a 2-1 final score. The shots from Chaffey came quick and early as they put up the first goal on the board less than six minutes into the game. Chaffey managed a total of four shots in the first half, while the Cougars managed three. Things began to look up for Canyons in the second half as freshman Dani Yanez scored on an assist by sophomore Crystal Sanchez at the 60-minute mark. Sanchez rebounded the ball off a missed shot and quickly got it to Yanez to find the back of the net ultimately evening the game at 1-1. It didn’t take long for Chaffey to respond, however, as the Panthers scored again at the 67th minute to go up 2-1. Ultimately COC wasn’t able to find an equalizer and the game ended with a Chaffey victory. The Cougars did put up 13 shots as opposed to Chaffey’s 12. Here’s the box score. Check out more photos from the match. Stay up to date on all this season’s action by visiting www.COCathletics.com and following the College of the Canyons Athletic department on social media at @COCathletics on Twitter, Instagram, Facebook and YouTube.